What will Apple’s upcoming smartphone be named? Will it be called iPhone 11 or iPhone XI? No matter whatever Apple decided to name it, it’s expected to well come housing three rear cameras – based on most recent reports. The Japanese blog “Macotakara” is the main source which has a reasonable record in suggesting future moves from Apple as their writers are seemingly in touch with people in a supply chain. 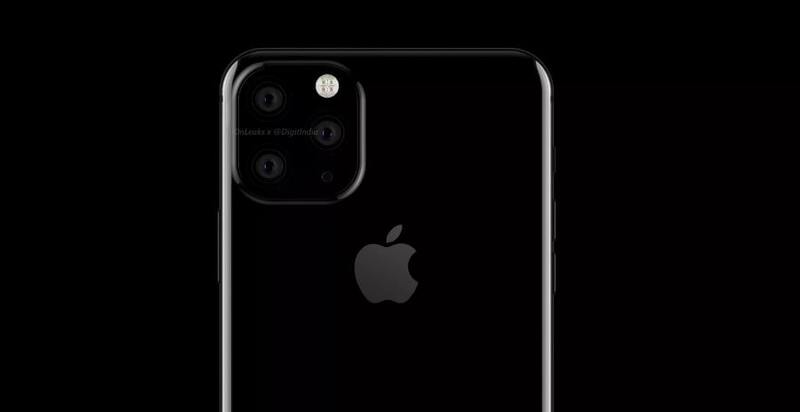 According to Macotakara, Apple’s most expensive handset iPhone 11 will be featuring a triple-lens camera and a flash – in a rectangular arrangement – seems identical to Huawei Mate 20 and Mate 20 Pro. It’s likely to match up with quite a few but not all of the renders we have already seen back in January when an idea of the atriple-lens rear camera was first mooted. Well, how big a camera bump will be, it’s yet to be cleared. Expecting new Apple iPhone 11 somewhere in 2019 wouldn’t be wrong. And triple-lens camera rumour turns out to be true, it’ll be the first iPhone to do so. Predictions and rumours have started to trickle in for the new smartphones. Seemingly a fast charging upgrade isn’t on a way – but Apple has claimed that it’s planning to make a little bit improvement in a selfie camera as well as one on its rear. We will be hearing more about Apple’s iPhone 11 and its software “iOS 13” when Apple’s 2019 WWDC event for developers gets underway at the start of June. Meanwhile, Apple’s all set to launch a new entry-level iPad with a Home button and traditional bezels. All in all, 2019 looks like a busy year for Apple in terms of hardware department.